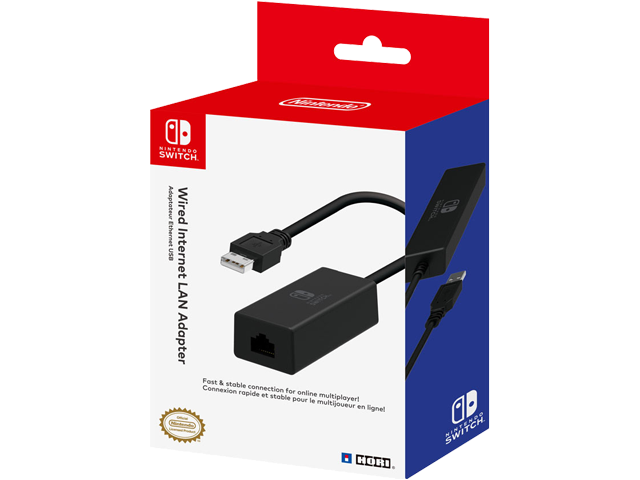 Enjoy the speed and stability of a wired internet connection on your Nintendo Switch™ with the Wired Internet LAN Adapter by HORI. Perfect for online multiplayer and easy to set up. Simply plug into the Nintendo Switch dock and connect to your router via LAN cable (not included) to enjoy a high speed wired internet connection.